Understand the true cost of running your fleet. Knowing when to cycle your assets is one of the most difficult aspects of managing a fleet. Understanding the total cost of ownership for each of your fleet vehicles enables you to unite your industry experience with up-to-date numbers to make more informed choices. Easily investigate your most pressing questions concerning total spend and relative costs of different vehicle groups and types. 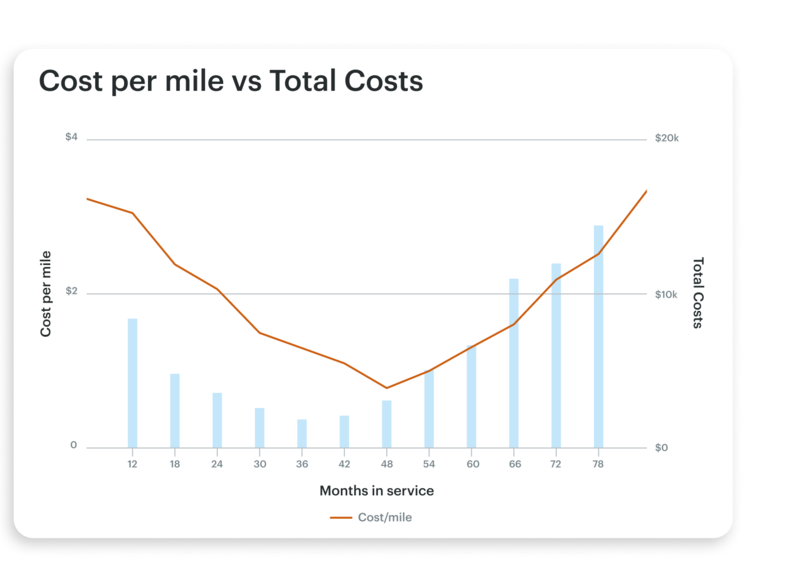 Know the cost efficiency of each asset at any point in time and compare monthly trends to determine the best time to cycle a vehicle. No vehicle is the same, so why would your replacement policies be? Fleetio helps you track the cost of each vehicle in real time so you can properly respond to changing market conditions and unpredictable wear and tear. Track any expense, from depreciation to fuel spend. 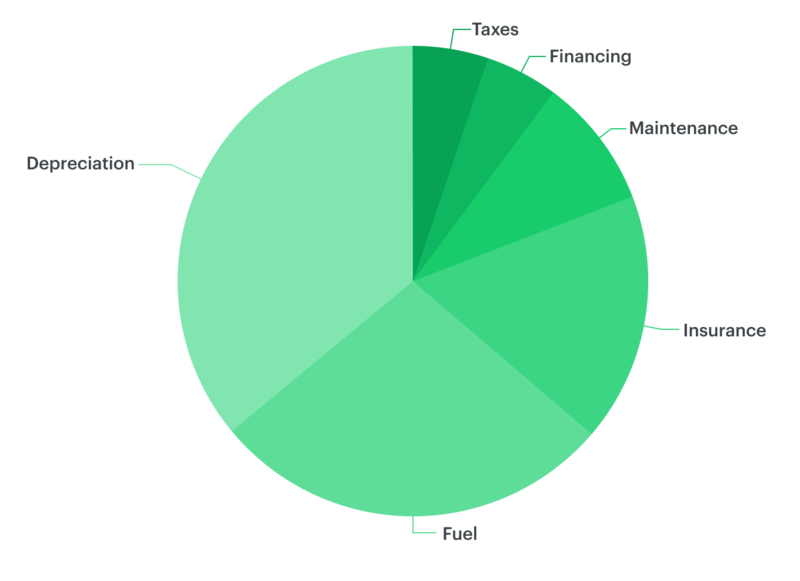 Easily identify where you're spending too much and gain insight to where you can reduce costs and create efficiencies. Thousands of customers across the world use Fleetio to track, analyze and improve their fleet operations. The outsourced maintenance automation is awesome. With offices throughout the entire state, it’s been difficult to manage maintenance from afar. Management now has visibility into the various repairs that are happening within our ever aging fleet. The value of everything I can manage is more than worth the cost. The wealth of features provided by Fleetio forces us to be better at our jobs. Everything we need is at our fingertips. I am a one man Fleet department. Fleetio has been the only thing that has allowed me to keep my head above water. Unlock powerful insights into fleet maintenance and operations trends.